In destinations around the world, there is a new found emphasis on the food and drink experience. Everyone knows that food on vacation should be delicious, but what about the experience? What makes that restaurant’s food different from anywhere else? In the Western White Mountains, the thing that makes us different is our passion for creating dishes from start to finish. Restaurants of the Western White Mountains use locally farmed ingredients to create the most wholesome food for their guests. There are also plenty of family friendly restaurants in the region for the young ones. The wineries and breweries in this region also adopt an on-site method of production by making all of their products in front of the customer. It’s a unique culture that can’t be beat! Get the full experience of our food and drink experience. This region is known for our authentic diners and diner-style food. Chefs who specialize in breakfast wake up as early as two in the morning to make sure breakfast is ready to be served by 6am! The weekend is spent perusing farmer’s markets to ensure the best of the best is going into their food. Polly’s Pancakes is a Western White Mountains treasure for this very reason. 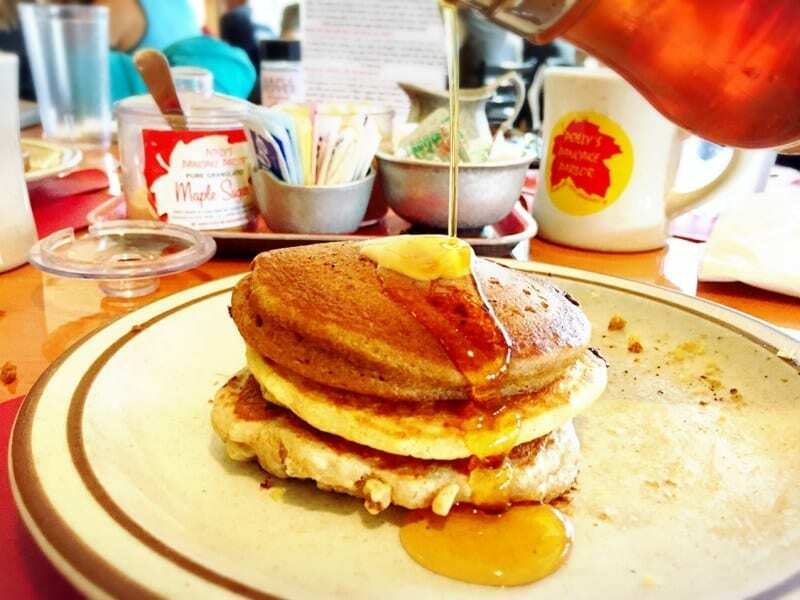 Located in Sugar Hill, Polly’s makes the best homemade pancakes in the region with dozens of options. They are known for using locally sourced foods to make premium breakfast food from scratch. No shortcuts here! 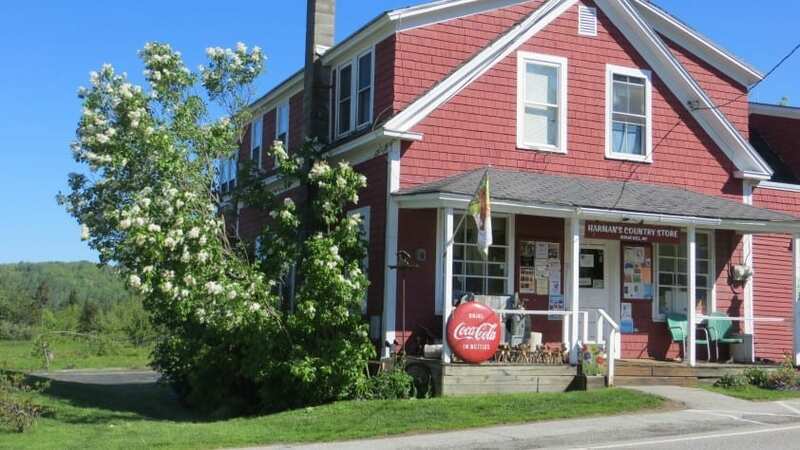 Polly’s Pancakes was built in 1830 by Polly and Wilfred Dexter to increase their maple sales. To get some much needed advertising at the time, they offered all you can eat waffles and pancakes for just $0.50! Now, you can find pieces of the Dexter’s history all around the restaurant. Family portraits, old farm tools, and other antique decor are used to decorate this very unique pancake parlor. Stop in here for a breakfast experience that can’t be repeated! Don’t have time for a sit down breakfast? There are plenty of quick in and out options too. White Mountain Bagel Company, located in Lincoln, is a local favorite. Open daily at 6:30AM, they offer fresh baked bagels, coffee, cappuccino, breakfast sandwiches, lunch sandwiches & baked goods. With quick service and a farm to table methodology, the White Mountain Bagel Company is a great option for breakfast on the go. Lunch is the trickiest time of the day in the Western White Mountains, as a lot of people are in the middle of some sort of day trip and don’t have a lot of time for lunch. Luckily, there are restaurants strategically placed to meet this need. 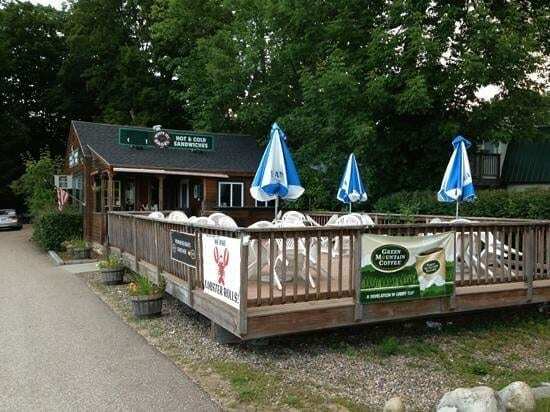 Right in Loon Mountain’s Mountain Club is the Black Diamond Pub, which offers lunch from noon to 5PM.  Here you can stop in for a break from skiing and grab food that was prepared using New England products like Cabot, Stonyfield, North Country Farmers Co-op, and Mad River. 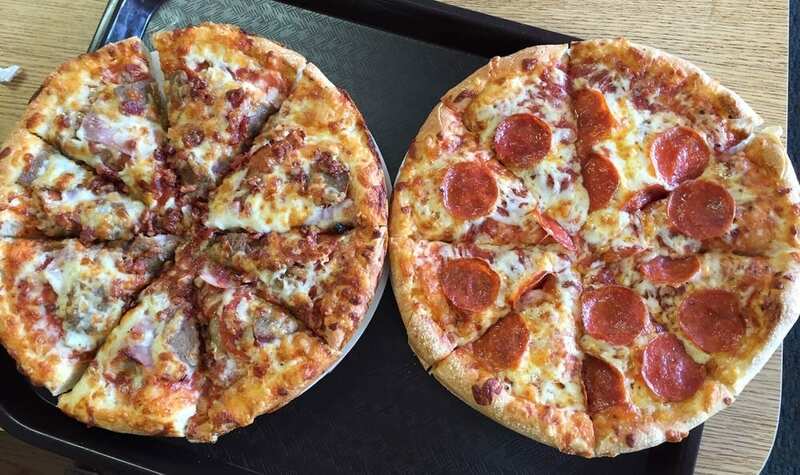 GH Pizza is another quick lunch option in Lincoln that offers dine-in or take-out. The menu consists of pizza, salad, pasta, subs, and grinders made from GH’s specialty recipes. It is also in close proximity to Clark’s Trading Post and the Ice Castles, which makes it a convenient stop for food! Truant’s Tavern, while more well-known for dinner and live music, also has a great lunch menu and outdoor patio. Sit outside, enjoy a nice lunch, and get fantastic views of the downtown hustle and bustle. Dinner is arguably the place where the Western White Mountains shine most. Here, there is a dinner for all appetites! Live music, dinner with a view, and gourmet menu choices are just a part of what makes dinner in the Western Whites so special. Truant’s Tavern is known for high-quality food that is seasonally prepared to ensure all the food is as fresh as it can possibly be. On the Truant’s Tavern website, “We refuse to compromise on quality in our restaurant. That’s why we source our fresh ingredients local. Keeping support of our area and offering a fresh product for our guests”. They also have live music with a local flair! Check out the music line-up during your stay. 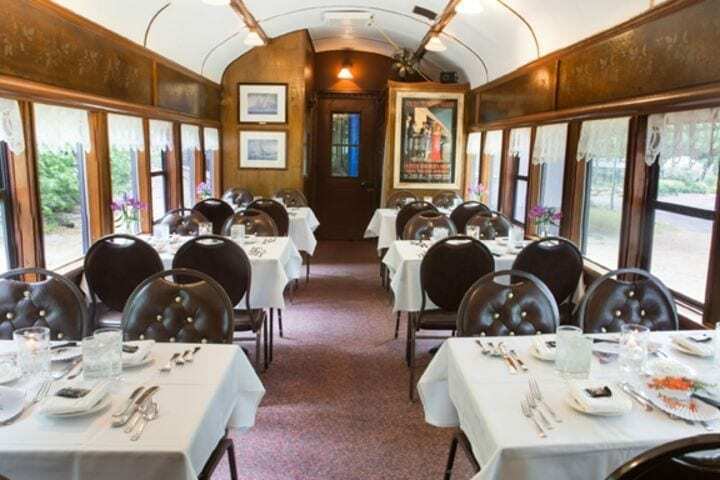 Kick dinner up a notch by booking a reservation on the Cafe Lafayette, a five star dinner and train ride through the Western White Mountains. This is the perfect date night! Enjoy five courses and cocktails made by the train’s specialty mixologist as you ride along. Offered Spring to Fall, there are views for each season. In the Spring, enjoy the view of thousands of NH wildflowers growing in the fields and along the Pemi. The Summer is the best season to look for moose and other wildlife along the trail. The foliage in the Fall can’t be beat, and is a great idea for a romantic getaway or anniversary. If there’s an image that shouts “New Hampshire”, it’s a covered bridge. The Covered Bridge Farm Table in Campton is a Western White Mountains treasure. 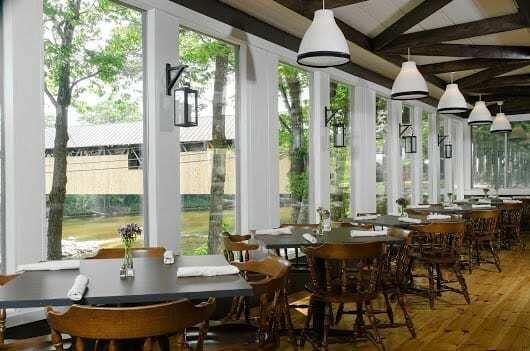 One of the best farm to table experiences in the area, the Farm Table sits right next to the covered bridge in Campton along the Pemi River. For multicultural cuisine inspired by Asian, French, Italian, and Spanish foods, this is the place to go. They also have live music and various entertainment throughout the week to maintain the atmosphere of what used to be the Country Cow. Local wineries and breweries have become an emerging trend over the past few years, and New England is known to have some of the best in the world. The Western White Mountains are proud to have beer on draught that comes from the local breweries and wine that’s barreled right here in NH. 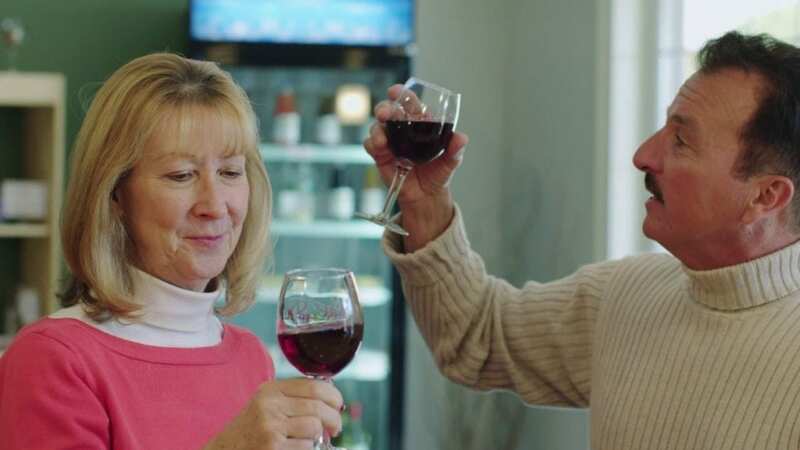 There are a few specialty wineries and breweries right in the area, so don’t miss out! Tours, tastings, and education of the brewing process are some great takeaways from visiting a brewery or winery in the Western Whites. Don’t forget about the annual New England Brewfest, with dozens of award winning local breweries participating in the festivities. 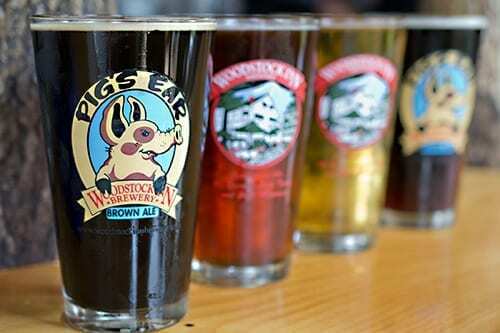 Woodstock Inn and Brewery is known around the country for their famous brews, and it comes right out New Hampshire. Located in Woodstock, this brewery offers tours, tastings, and even “beer yoga” on occasion. Get a taste of the local flavor and learn more about what it takes to be one of the best brewers in the northeast. 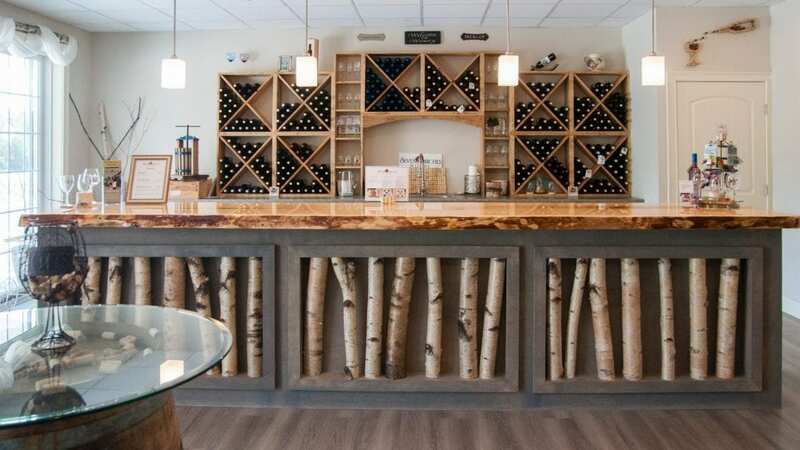 Right near that, the Seven Birches Winery is located in Lincoln’s Riverwalk Resort. Stop by and try a flight of their specialty wine made in-house or look around the shop for specialty food pairings. Seven Birches holds regular “Meet the Winemaker” events and an annual grape stomping festival in the summertime. One Love Brewery is another brewery in Lincoln, NH, that offers their selection of beer on the dinner menu. Pilsner, dunkle, IPA, helles, oktoberfest, and stout are a few of the beers from the One Love line. The restaurant itself is also well-known for its creative menu and live music from bands like Pardon the Spins and Trout God. Check it out and get a taste of the Western White Mountains alt culture. While you’re at it, the fried avocados there are something not to be missed. Where Can You Buy These Ingredients? During your stay in the Western White Mountains, you may wonder, “where can I get this stuff?” We don’t blame you. The cuisine in this region is crafted from locally sourced ingredients that just can’t be compared to big brand ingredients. There are places all throughout the Western White Mountains to find food to bring back and prepare at home. Harman’s Cheese is on the better known stores in the Western Whites that sells their famous cheese and maple products. The whole store revolved around the cheese, which locals call “the best cheddar I have ever eaten in my life”. With a statement like that, it’s got to be good. They do ship products, which you can order online. In addition to cheese and maple products, Harman’s Cheese also sells seasonings, jellies, dips, pickles, crackers, candy, coffee, and more. Pro-tip: Stop into the store in Sugar Hill after a breakfast at Polly’s Pancakes! A lot of local restaurants also rely on the Purple Tomato farmer’s market for locally sourced, fresh produce, dairy, and meats. They also make prepared foods and will share recipes with visitors so they can bring a piece of the Western White Mountains home with them. 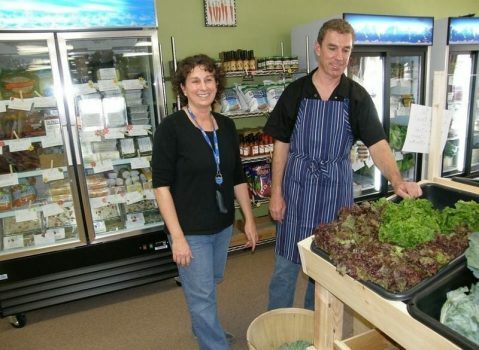 Northern Exposure is another specialty foods and gifts store in Lincoln, NH, that sells local ingredients. In the Summer, you may find a farmer’s market in the downtown on weekends to buy food from local craftspeople.